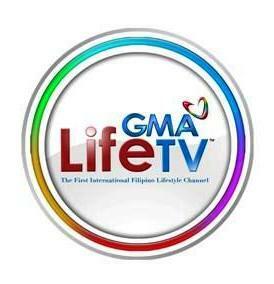 Starting Monday (May 12), throw away all the negatives vibes as GMA Life TV, the Philippines’ first international lifestyle channel, makes happiness contagious with its newest talk/variety program Basta Every Day Happy. The show brings Donita Rose, Gladys Reyes, Alessandra De Rossi, and Chef Boy Logro together for the first time on television, creating a vibrant atmosphere through a mixture of their witty personalities. They will share their happy experiences in various fun segments, projects, and challenges that will certainly draw smiles and laughter from the viewers. In its desire to make more Filipinos joyful and inspired every day, this show will encourage everyone to take an active step in making one’s self happy through the simple pleasures in life, such as stumbling upon a hilarious social media post, an amazing food discovery, completing one’s wish list, or a deed of paying it forward, which consequently affects someone else’s happiness. Knowing that Filipinos possess the unique characteristic of being naturally cheerful despite adversities, Basta Every Day Happy will feature guest celebrities and even ordinary people who will share fun-filled conversations with the hosts. Kapuso viewers locally and abroad will certainly have something to look forward to every day as each episode contains a collection of happy moments of everything under the sun, such as parenting, family, relationships, home care, beauty, fashion, technology, travel, among others. Directed by Louie Ignacio, Basta Every Day Happy is set to change the Filipino viewers’ weekday viewing habits. Catch your daily dose of happiness in Basta Every Day Happy only on GMA Life TV. For updates on the Kapuso Network’s programs visit the website www.gmanetwork.com/international, Facebook pages www.facebook.com/GMAPinoyTV, www.facebook.com/gmalifetv, andwww.facebook.com/gmanewsinternational, and Twitter pages @GMAPinoyTV and @GMA_LifeTV.